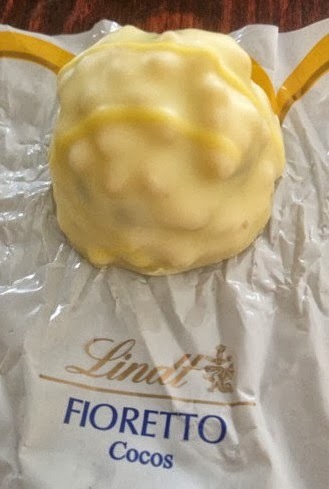 Product Review: Lindt Chocolates | The Food Hussy! 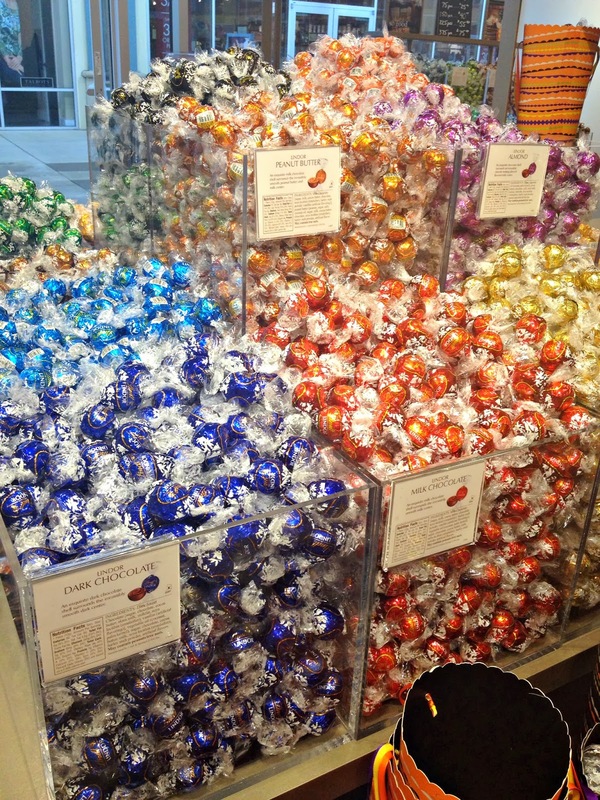 What better way to wake up on a Saturday than to head to a chocolate store for some creamy chocolately goodness! That's exactly what happened to me last weekend - I was invited to the Lindt store at the outlet mall in Monroe. The store is in the outlet mall right off I-75 in Monroe and you can't help but go in when you walk by - the scent of chocolate combined with the bright colors of their signature labels beckons you! David, the manager, is there to help you find whatever chocolate is your favorite. He is the chocolate king - whether you want white chocolate, peanut butter, nuts, no nuts or anything else you can think of - he can point you in the right direction. Each color signifies a flavor - some are obvious like green = mint - but others are a little more mysterious. Either way - you can easily find out the flavor or just have a surprise with every bite! And you might think - what new can people do with chocolate? Well Lindt has branched out into chocolate bark now! They just premiered this new product offering in a couple of stores across the country and Cincinnati is one of them! So you can buy one kind or mix & match and try them all! They're going to be adding flavors as we get closer to the holidays as well! This is only about half the stack they started with for the week - so this new product is already moving quickly! 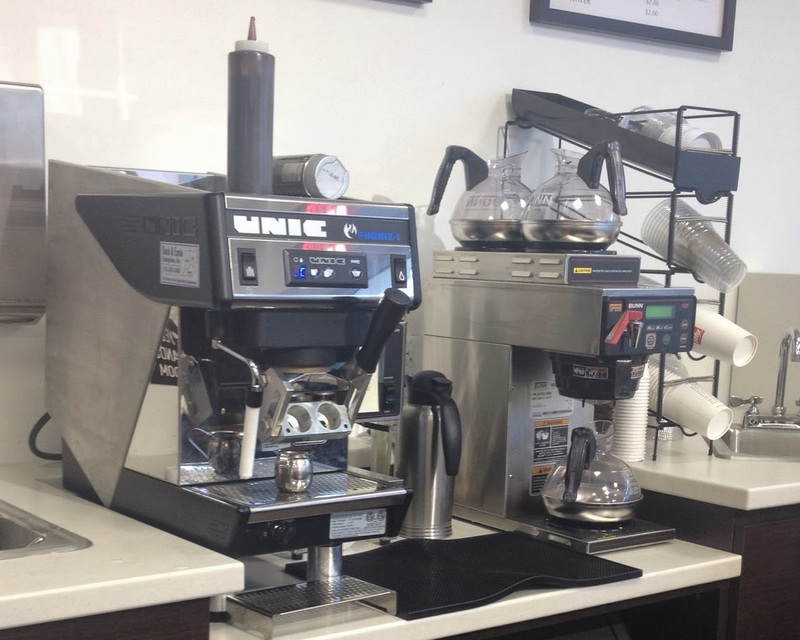 The Monroe store is also one of the few with a coffee station. I'm not a coffee fan but David made me an awesome white hot chocolate and wow - it was delicious! Be sure to ask for it when you stop in...good stuff! 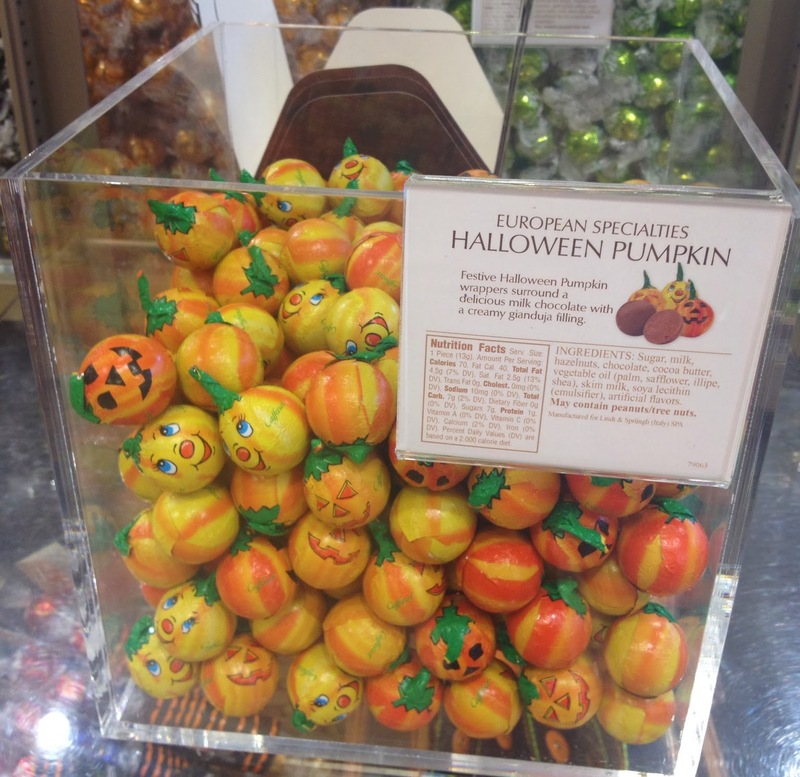 Besides all of their regular flavors - they also have specialty holiday flavors - these European pumpkins will only be around for another couple of weeks! but not knowing exactly what you're going to get! Why Should You Go? It's chocolate - of course you should go! There's something for everyone - and the nice thing is the truffles are small and bite-sized - so you can exercise portion control. Just a bite of chocolate is enough to satisfy that 230pm craving! And the bark was great too - people stopped by my office all week to break off a bite! Good stuff! Disclosure: Lindt provided me free chocolate when I visited the store. I ate a lot - but it didn't cloud my judgement - these thoughts are all my own.